The recent mosque massacres are the latest of many catastrophes to hit Christchurch. If history is any indication, this dynamic city of about 400,000 on New Zealand’s South Island will come back from its horrors stronger and more united than ever. In 1856, Queen Victoria granted Christchurch a charter, making it New Zealand’s first city. Gothic Revival buildings soon followed in the city center. In 1864, when the city had fewer than 500 male residents, the local Anglican bishop began constructing a cathedral in Cathedral Square. Three times before the iconic Gothic cathedral was completed in 1904, it was damaged by earthquakes that destroyed buildings in the city. In 1947, a fire near the cathedral killed 41 people and destroyed a number of buildings in the area. In September 2010 and again in February, June and December 2011, major earthquakes struck Christchurch, resulting in the destruction of hundreds of buildings and the deaths of 185 people. The tower of the cathedral toppled and the remainder of the church was severely compromised, leading to calls for its demolition. 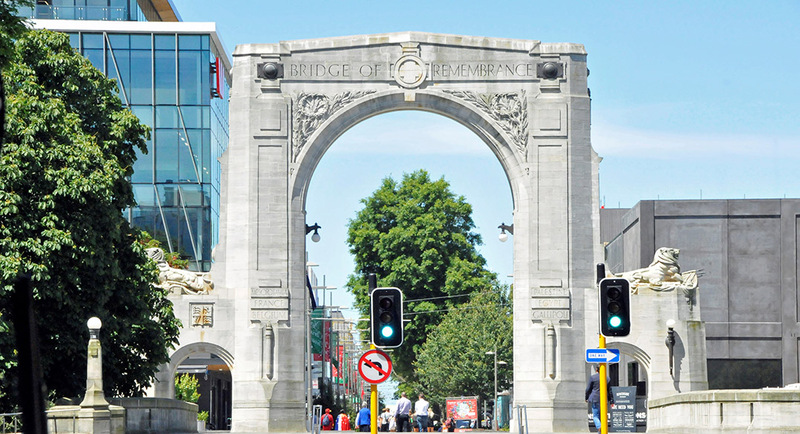 The Bridge of Remembrance, an arch remembering New Zealand’s war dead, was badly damaged. Estimates of the damage from the earthquakes exceeded $20 billion, an average of $50,000 for each resident. Rather than abandoning the center city, government officials decided to rebuild it, with a focus on the future and buildings designed to survive future earthquakes. To accommodate anticipated population growth, the plan contemplates building 50,000 new homes by 2028. The cathedral will be rebuilt at a cost of about $100 million and restored as the seat of the bishop. The government of New Zealand has committed more than $700 million to build and equip new schools. In 2016, the repaired and strengthened Bridge of Remembrance was rededicated as a symbol of the city’s resilience.